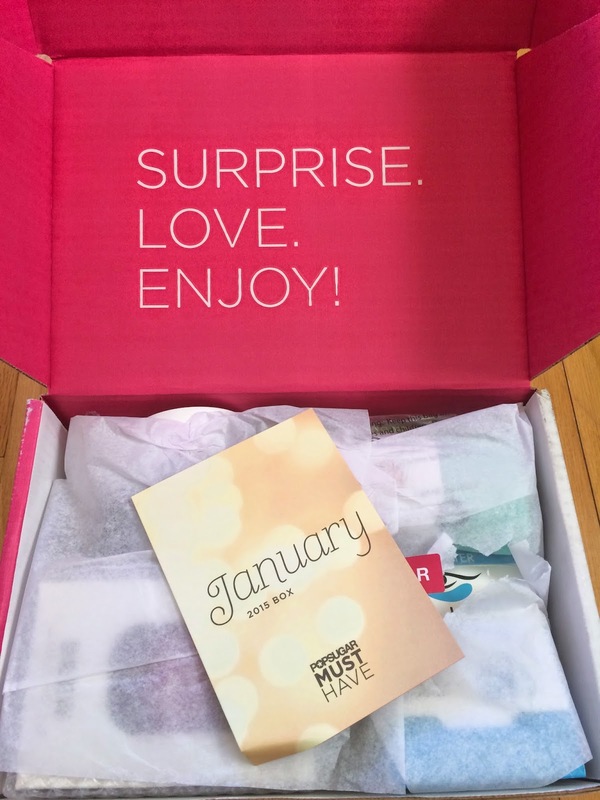 I received my Popsugar Must Have box today and I was so excited to see this box in person! I had looked at spoilers and I was so excited about this box!! The January box was inspired by rejuvenate, fresh start, snow, glimmer, energize, and refresh. And this box had a few things I couldn't wait to get my hands on, so when it arrived on my doorstep, I opened it right up. 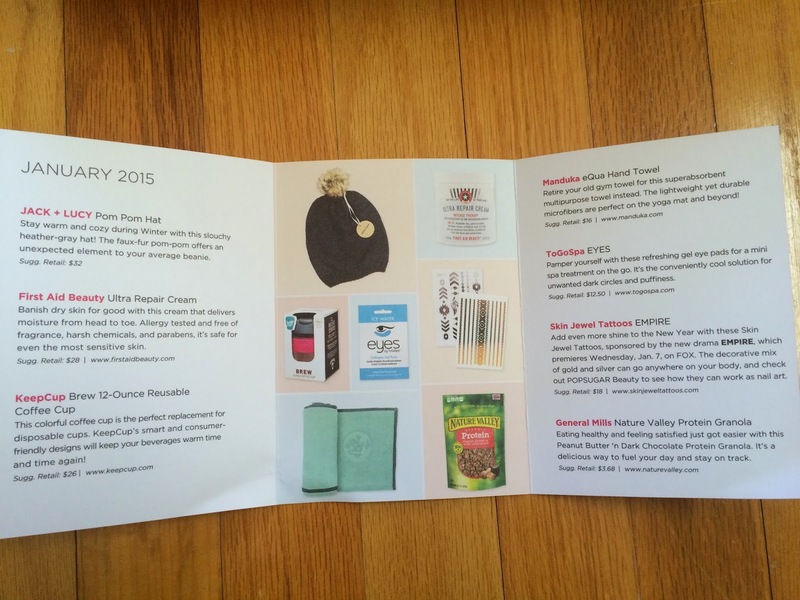 Popsugar includes an information card with everything included for the month. And this is everything included in this month's box. 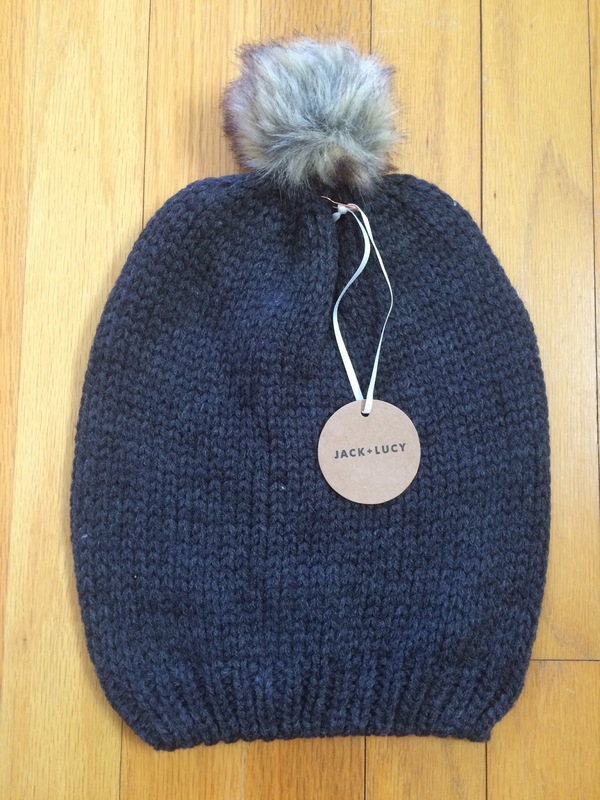 The first item I couldn't wait to get out of the box was the Jack + Lucy Pom Pom Hat. 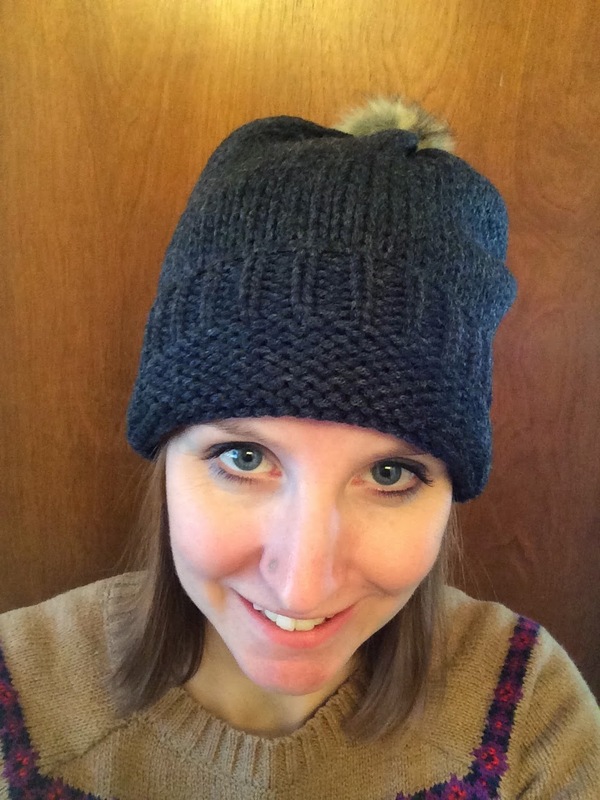 It's a grey, slouchy hat with an adorable pom pom. I was hoping I could pull this hat off, because I think it's adorable. But I have a very small head and wasn't sure it would fit properly. I have been searching for a cute winter hat and I knew this was perfect! When I tried it on I couldn't tell if I was wearing it correctly or if it looked awful on me, so I sent a very bad bathroom selfie to my 12 year old niece to ask her. I'll include my awful selfie, so you can tell me what you think. But as cold as it has been here lately, I think I'll be wearing it! 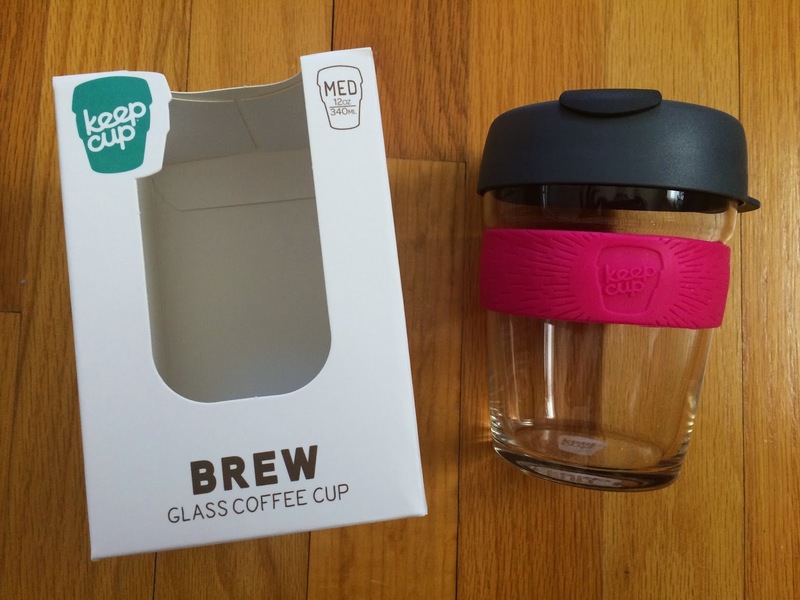 The KeepCup Brew 12-Ounce Reusable Coffee Cup was the next item I was really excited about. I drink a lot of chai tea latte through the winter months and I think this will be the perfect cup for it! I can't wait to try it out. I'm going to feel so much more stylish drinking out of this cup in my car and at the office. Plus the pink band means hopefully my guy won't be stealing it to use for himself. I can't wait to use this cup!!! 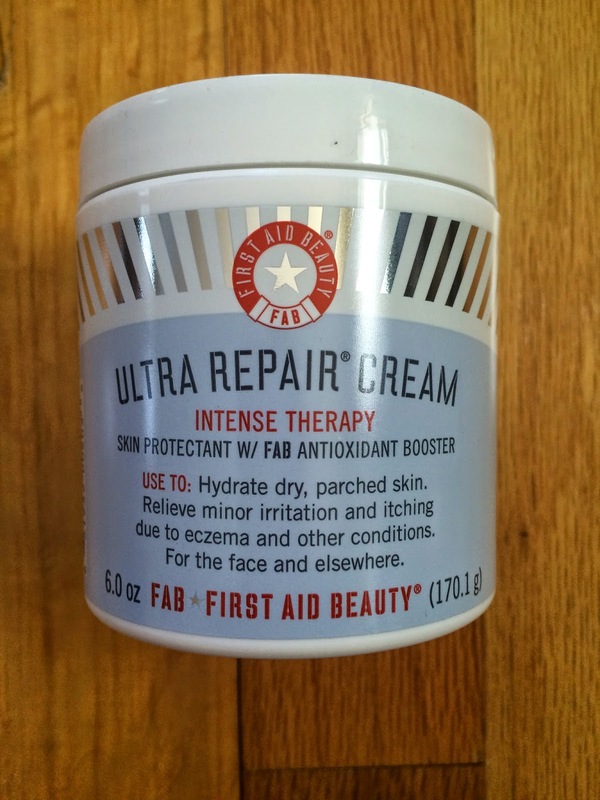 First Aid Beauty Ultra Repair Cream was also included in this month's box. My hands and feet are so dry through the winter months, so I was very happy to see this in the box. It's free of fragrance, harsh chemicals, and parabens, plus safe for even the most sensitive skin. My 2 year old daughter has eczema, so I'll be trying this on her skin too. Perfection! 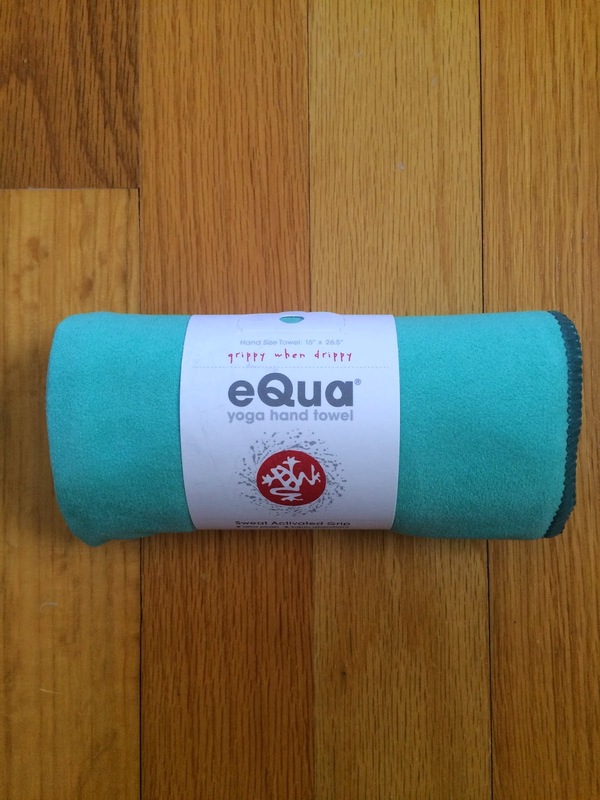 I also received a Manduka eQua Hand Towel. It's a super absorbent multipurpose towel. I won't be using it for yoga, but I'm sure I'll find another use for it. I love the color and feel of it. I was excited to see ToGoSpa Eyes included in the box. 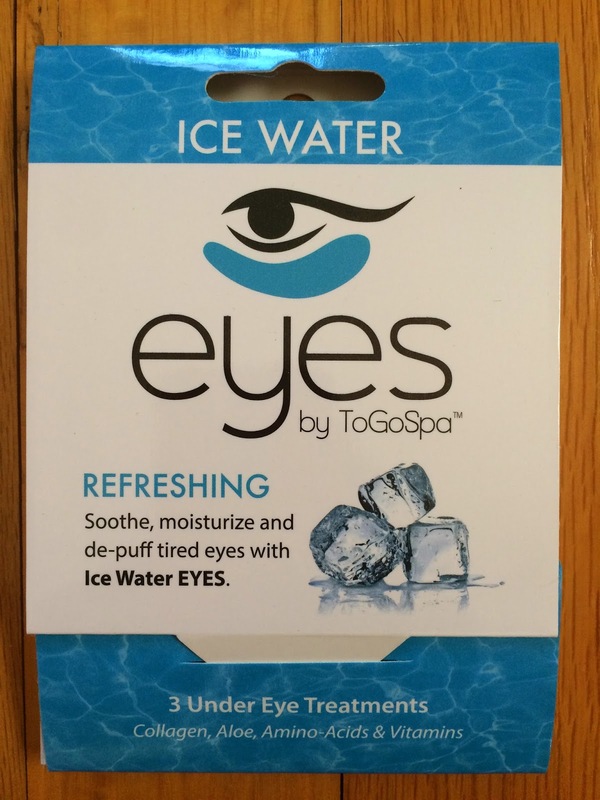 I've never tried them before, but I love eye treatments! Maybe because my eyes always feel tired, so eye treatments feel luxurious. These treat dark circles and puffiness, which is exactly what I need. I can't wait to use them! 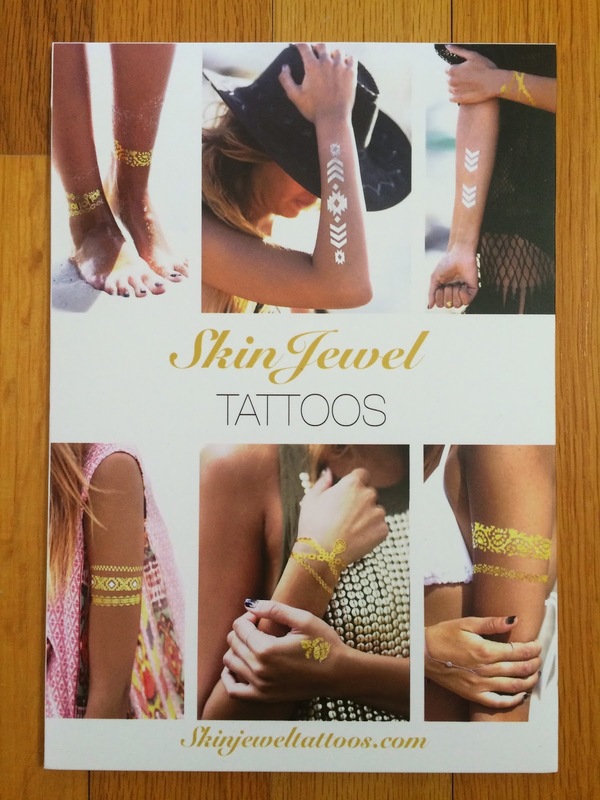 The item I was least excited about was the Skin Jewel Tattoos. They are sponsored by the new drama Empire (I don't watch TV, so I'm clueless about what it's about). It says to check out Popsugar beauty to see how to use them as nail art, so I will definitely be doing that! I think that's more my style. But maybe I'll get adventurous and try them out as they are intended to be worn too. Maybe I'll have a themed girls' night and we can all wear them! 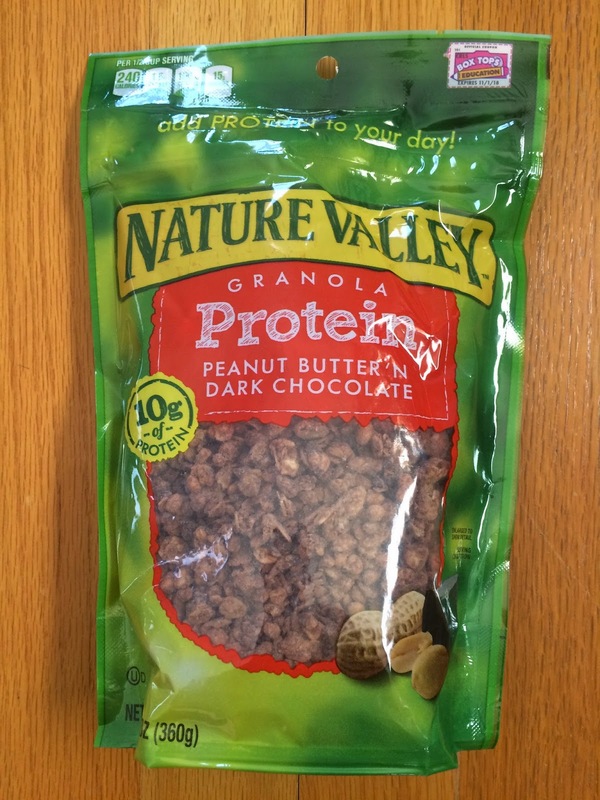 The final item included was General Mills Nature Valley Protein Granola in Peanut Butter n' Dark Chocolate. This flavor sounds amazing! I always love the snacks included in Popsugar Must Have. I'm sure this is going to be a yummy snack! 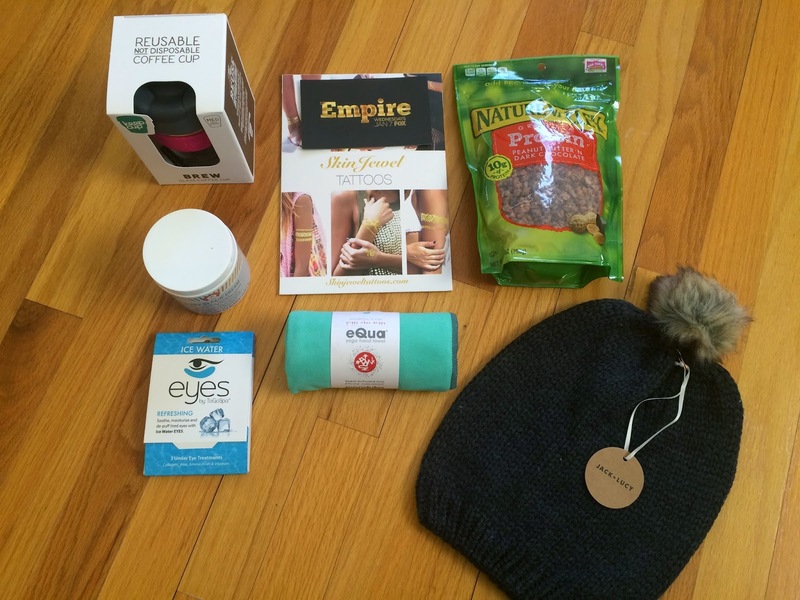 I'm very happy with the January Popsugar Must Have box. I think a few of these products are going to be my new favorite things, which is what I love about Popsugar. I get items I wouldn't think about purchasing, but love and use on a daily basis! I can't wait to see what we get in February.